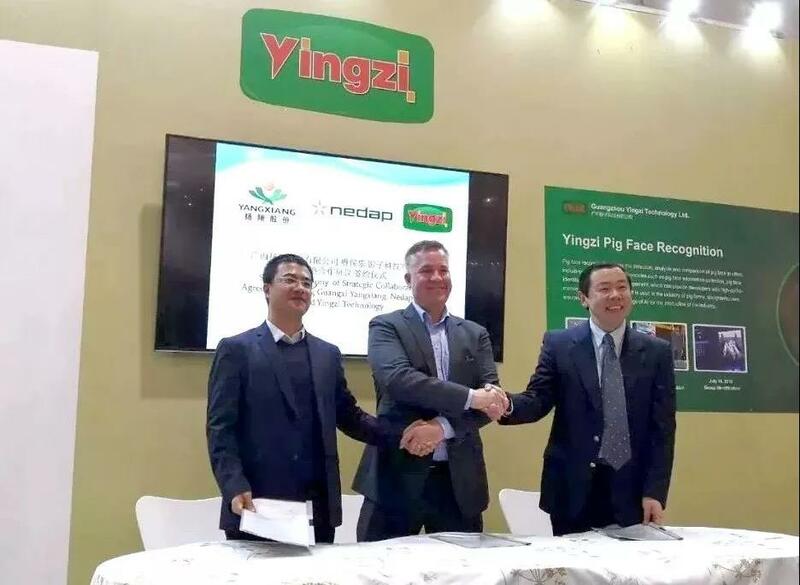 The three companies - all with a leading position in their own field of expertise in the Chinese pig production industry - announce a strategic partnership with the aim of creating valuable services and applications from data in pig farming. During EuroTier in Hannover, the official kick-off took place through a signing ceremony. Nedap is a global market leader in automation solutions for individual pig management throughout the entire production cycle. 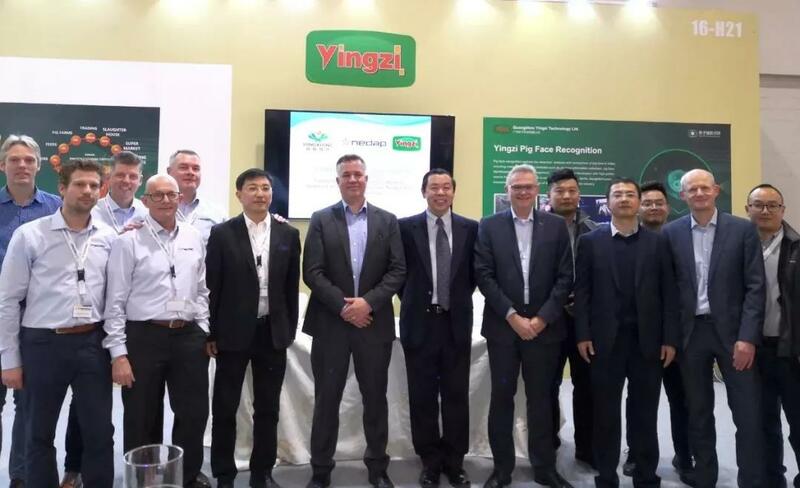 The fast-growing Yingzi develops an intelligent ecosystem platform that supports the entire vertical industry from pig farms to dining table. Yangxiang is a reputable pig producer focused on progressive agricultural industrialization. Yangxiang already successfully applies the advanced technology of both Nedap and Yingzi in its business operations. The company scales up its pig production and constantly invests in these future-proof technologies in which it strongly believes. The three parties are joining forces in this new collaboration to give a strong boost to the next generation of data and information services. The starting point in the first phase is identifying opportunities and possibilities to create new services and applications based on the data generated by Nedap solutions at Yangxiang facilities. Nedap's solutions gather a world of information with regard to nutrition, growth, health and fertility of individual animals. This data offers enormous potential to strengthen various stakeholders in the pig industry in China and beyond. Both on operational and strategic levels. New insights and functionalities that can be obtained from this, should ideally contribute to optimally efficient, safe and transparent pig production. VP of Pig Farming Group, Yangxiang Ltd.
CEO of Yingzi Technology Ltd. Both Nedap, Yingzi and Yangxiang play an important role in researching and developing these services and applications. Each party focuses on its own expertise and the added value that can be generated in that area. By simultaneously sharing data and knowledge, working together and combining technologies, development is accelerating and new integrated solutions can emerge from this collaboration in the near future.